Epilepsy is a common health disorder in which a person has a tendency to have recurrent unprovoked seizures. The brain controls the body actions, sensations and emotions through neurons (nerve cells) that carry messages between the brain and the body. These signals are transmitted through regular electrical impulses. A seizure occurs when there is a sudden burst of electrical activity in the brain that disrupts this pattern. The nature of seizure and the body parts affected by it depend on the part of the brain in which the abnormal electrical activity occurred. Seizures can be in the form of loss of consciousness, a range of unusual movements, odd feelings and sensations or changed behaviors. Many people can have seizures that are not diagnosed as epilepsy. These seizure may have a known trigger or provocation and is unlikely to occur again unless the same provocation occurs. Examples are febrile convulsions (febrile seizures) seen in children and seizures arising out of hypoglycemia (low blood sugar). The main difference between a seizure and epilepsy is that seizures are a single occurrence, whereas epilepsy is a medical condition of chronic and recurrent seizures. Though seizures are one of the most common symptoms of epilepsy, not everyone who has seizures suffers from epilepsy. As for seizures, small disruptions in neuron interactions can cause twitches or spasms. The sudden abnormal electrical impulses from the brain can cause changes in behavior and consciousness. When it is recurrent and chronic, it progresses to epilepsy. Generally people think seizure means a convulsion, where someone becomes unconscious and falls with stiffness and jerking. However, it is just one form of seizure, called a tonic-clonic seizure (previously known as grand mal). Some people may have rapid attack of seizures in which they go blank for a few seconds, some people remain fully conscious during a seizure and are able to narrate their experience. For most people, their consciousness is affected and they may be confused when the seizure ends. Broadly seizures are described as the ones that affect both sides of the brain (generalized onset seizures) or a small part of the brain (focal onset seizures). At times, seizures may evolve and start as one and progress into another. In focal seizures electrical disturbance is limited to a specific area of one cerebral hemisphere (side of the brain). 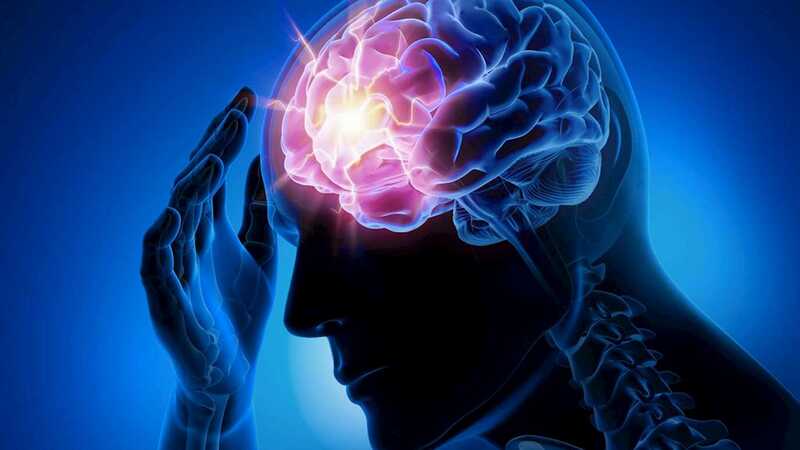 Focal seizures most commonly arise from the temporal lobe of the brain.Partial seizures are subdivided into simple partial seizures (in which consciousness is retained); and complex partial seizures (in which consciousness is impaired or lost). Partial seizures may spread to cause a generalized seizure, in which case it is classified as partial seizures secondarily generalized. Children under the age of 2 and adults above the age of 65 are more predisposed to epilepsy. Medications are the first-line of treatment for people affected with epilepsy. Diet may also be fine-tuned to yield better results along with medications. Anti-epileptic drugs work for most people. At Plexus, we have been able to effectively control seizures with proper use of the right medication. However, in some cases, due to several factors, drugs do not help. Some people cannot tolerate drugs and sometimes seizures still occur inspite of administering drugs. In such cases, stem cell therapy helps manage the condition. Stem cell therapy can help with regeneration of the brain tissue. Stem cells can help reinstate normal neural activity thus helping in reduce seizures. In a normal brain, there are a number of neurons, some neurons excite cells and some others that stop or inhibit the action of cells. There is a balance between these neurons that help us to function normally. In a patient with epilepsy this balance is disrupted, during seizures. This abnormal circuit is what stem cell therapy targets and repairs. Stem cell treatment aims to bring down these seizures by introducing specific group of neurons with inhibitory functions. It aims to reduce the frequency or even the occurrence of seizures and restore any behavioral deficits caused by the condition. Stem cell therapy holds a great promise in the management of epilepsy.